The introduction of the Fair Work Act 2009, ten National Employment Standards were legislated in conjunction with the national minimum wage, to make up the minimum entitlements for employees in Australia. The National Employment Standards covers all workers in the national workplace relations system regardless of the award, registered agreement or employment contract that applies. The National Employment Standards include a right for certain employees to request flexible working arrangements from their employer. In addition, if an employee is the parent of a child or has responsibility for the care of a child and is returning to work after taking parental or adoption leave, the employee may request to return to work on a part-time basis to help care for the child. Once an employer receives a written request for flexible working arrangements from an employee, under the National Employment Standards an employer must provide a written response within 21 days stating whether they grant or refuse the request. The National Employment Standards state that an employer can only refuse such a request on ‘reasonable business grounds.’ If a request is refused, the reasons must be included in the written refusal. 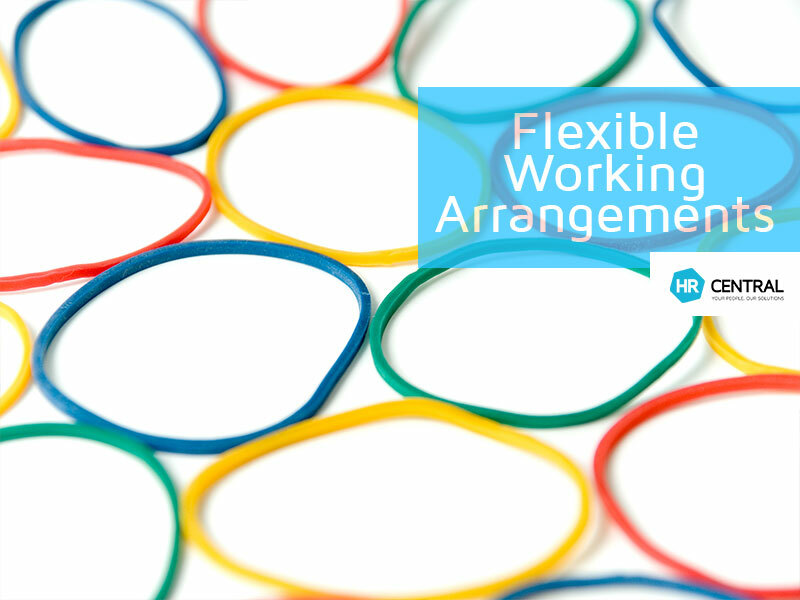 When considering a request for flexible working arrangements, it is important to remember that flexible arrangements can be openly discussed and negotiated to reach an agreement that balances the needs of both the employer and employee. An employer is not obliged to grant an employee’s proposed changes in full, adjustments can be negotiated between the parties. It may be easy for employees to only see the advantages of flexible working arrangements and for employers to only see the disadvantages but it is important for both parties to recognise and consider both the positive and negative aspects of flexible working arrangements, some of which are listed below. Overall, the advantages of flexible working arrangements would generally outweigh the disadvantages and a strong manager should be able to manage any of the disadvantages. Flexible scheduling has become part of what employees are looking for in their comprehensive employee benefits packages. Flexibility to meet family needs, personal obligations, and life responsibilities conveniently. Reduced consumption of commuting time and fuel costs. Increased feeling of personal control over schedule and work environment. Reduces employee burnout due to overload. Allows people to work when they accomplish most, feel freshest, and enjoy working. May decrease external childcare hours and costs. Some employees thrive in an office environment. As a result, they may find it difficult to work in isolation or when colleagues don’t hold the same schedule. Working from home can often make other people in your life think you aren’t actually working. This can cause problems with relationships when you are unavailable when at home. There is no clear delineation between work and home, potentially leading to the working of excessive hours. Increased employee morale, engagement, and commitment. Enhanced image as an employer of choice with family-friendly flexible work schedules. Clients expect service five days a week during business hours and compressed work weeks can make client handovers complicated. Jobs that require customer-facing responsibilities only allow certain types of flexibility meaning employers struggle with fairness when only certain employees can utilise flexibility. In team-oriented environments, teams still need to meet which requires some set guidelines. Some people take advantage of the flexibility and use that as an invitation to “work” from home with only their email screen open and this can be difficult to monitor and manage. Some managers have trouble adjusting to the new management style which requires trust. Office-oriented people sometimes view their work-at-home colleagues in a negative light because they can’t physically see their productivity. As an employee, if you believe you have a valid reason for flexibility in your work arrangement, ask your manager/employer.